As someone who has handled research projects for AIRDA, I can visualize a crystal ball on timeshare. So in the future we could see smaller resorts moving out as a result of getting absorbed by the bigger players. I also think we will see new entrants, new products and changing service experiences. There could be a consolidation of the organized sector in the timeshare industry, but the pie will expand, grow and diversify in my opinion. And If we’re wondering about growth, I think the key indicator here would be penetration of the timeshare industry. I’m referring to the proportion of the population using timeshare plans. 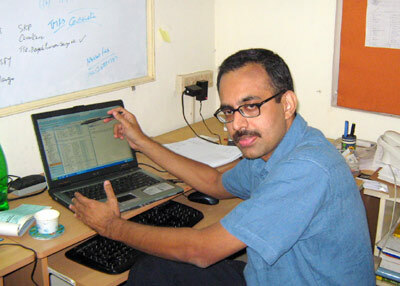 Ashok R Sankethi is an MR veteran who set up Kaybase in 2005. He has over 25 years of experience in the industry, and works on projects that call for higher levels of research and analytics. He is on the teaching faculty at leading business schools, and sits on the doctoral committees of several Ph. D scholars. Along with his colleague Poornima Bhaskaran, Ashok has published a book called Kay’s Book of MR – which is the first book of case studies from an industry perspective. This book is now being used by faculty at over 15 business schools in the country. Survey from PGi reveals that the workation is on the rise in America, with 82% of employees choosing to work on vacation in 2013. How do they connect? Mobile devices – smartphones leading the way, but more employees working on vacation with three devices – smartphones, tablets and laptops. 2009 was a tough one for the travel industry, but if the latest survey from Skyscanner is anything to go by, things are beginning to look up. Almost half (49%) of the British travellers surveyed said they were planning to go abroad two or three times this year, but 16% said they intended to travel four or five times, while 13% said they would escape Blighty on six or more trips during 2010. 13% said they would travel once, while only 6% won’t be going away at all. LeisureLink, Inc., the leading distribution and revenue management platform for specialty lodging suppliers, today announced the first publication of the LeisureLink Demand Index™, showing dramatic growth in consumer demand for Vacation Lodging in mainstream online travel channels. “Consumer demand in online channels has tripled over the last 2 years,” said Steve Reich, Senior Vice president of LeisureLink. “Consumer acceptance of Vacation Lodging is growing rapidly, even with difficult economic conditions,” he added. “This is a classic case of the ‘network effect’— a hot product creates demand, demand creates distribution, and broad distribution creates more demand,” said Reich. Vacation Lodging includes Vacation Rental Properties, Timeshare Resorts, and Boutique Hotels. “The growth in Vacation Lodging is in sharp contrast to the 7% decline in leisure and unmanaged business travel in 2009 recently estimated by research firm PhoCus Wright,” he continued. Proving that the holiday market is weathering the recession better than many other sectors, a company that organizes vacations for Americans 50 years or older has said the demand continues unabated. Like many other industry players and commentators, Grand Circle says the economy is pushing people to seek exceptional travel values rather than cut back on vacations. Approximately 2.3 million households state they are interested in purchasing some form of vacation time during the next two years. Just two findings from ‘Future Timeshare Buyers: 2009 Market Profile’, which was developed from a nationally-representative sample of active leisure travelers who have expressed interest in acquiring some form of vacation time during the next two years, and supplemented through insights revealed in the Ypartnership/Yankelovich, Inc. 2009 National Leisure Travel MONITOR(SM). The study was authored exclusively for Interval International, which is releasing the results during the American Resort Development Association’s (ARDA) 2009 Fall Conference, held in Washington, D.C.